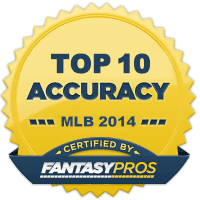 Every February I crave knowledge, I want to win a fantasy baseball championship just as much as you do. I put in my time & effort studying to know the player database more than my competition. I spend hours clicking through Spring Training news, player notes, stats and position battles…trying to get a one-up. By constantly looking through splits on hitters/pitchers and trying to find a trend that my opponents do not see, I feel you can have control of your fantasy fate by educating as much as your personal baseball brain can handle. I have been starved of baseball news for a couple months now all I can do is feed the need for this sport I love. In today’s world, one can practically find any bit of information needed online to devise an opinion. I care less about politics and don’t give a crap about celebrity gossip, so I search for baseball wisdom. I have been flipping through three websites continually this off season, they are: Baseball Reference, FanGraphs and Baseball Savant. So much information can be interesting to the common fan or detrimental to the fantasy player who doesn’t feed the edge to be better than the competition on every facet. 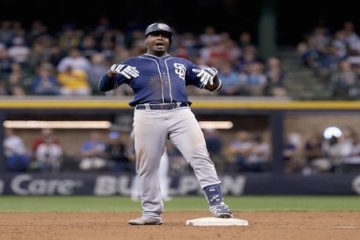 Using these sites, I have put together my strategy or better yet, core group of ‘ride or die’ players that will make or break the marathon which is fantasy baseball. 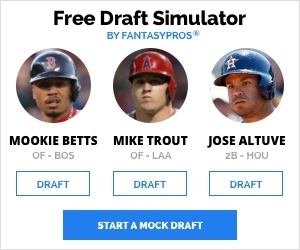 During the 2019 MLB Season, you can catch me joining host Alan Harrison on TheFantasyFix.com’s Podcast. We would love to hear your thoughts on our rankings as well as our fantasy teams plus let us know anything you would like for us to cover. Rafael Devers / 22 years old (3B) – Devers battled injuries and disappointed in 2018. He lost some weight heading into 2019 to hopefully combat his ’18 issues with not being on the field. Additionally, Devers was 36th in average exit velocity in 2018 at 90.8mph and posted his lowest BABIP professionally at .281 (61 points lower than 2017). A more patient approach should help get him back to form. Learning not to chase balls out of the zone should help the strikeout rate decrease (24.7% in ‘18) and the walk rate increase (7.7% in ‘18). I’m expecting a season with a .275 average, .325+ OBP, 25+ homers, 85+ RBI and 5-10 SB. Wouldn’t that be a nice 3rd base option in the 10th round (currently 145 ADP)? Lourdes Gurriel Jr. / 25 years old (2B, SS) – Devon Travis will be on shelf to start season (earlier this week underwent surgery to repair a meniscus tear in his left knee — out 5-7 weeks). Gurriel ranked 33rd in ’18 with a 45.6% Hard Hit Rate and 58th in average exit velocity at 90.3mph. He would greatly benefit from the same adjustment that Devers is striving for in 2019. The one glaring issue is plate discipline. Not seeing enough pitches to get deeper in counts and ultimately draw more walks. In a small sample size in Spring Training, this looks to be adjusting (47PA, 4 walks, 7 K’s). I wouldn’t be surprised to see the next step taken and a .275 average, .325 OBP, 20+Homers, 75+ RBI maybe 5 SB’s. A return value just under what I expect Devers to produce at the ADP of 246 (100 picks later). Ross Stripling / 29 years old (SP,RP) – Big opportunity for the right hander from Texas as both Kershaw and Hill are not ready to start the season. 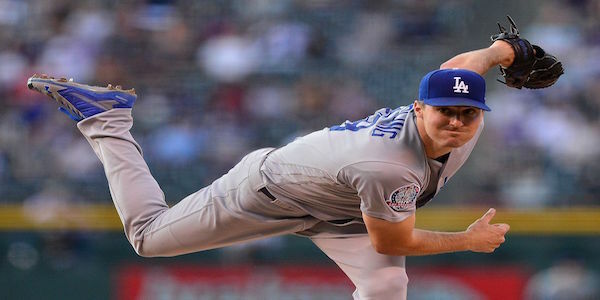 An opening in the rotation was the only thing missing for Stripling to have the chance to flourish in fantasy for 2019. Great control will always keep the WHIP down as he holds a career 1.21 WHIP over almost 300IP in the BIGS over three seasons. 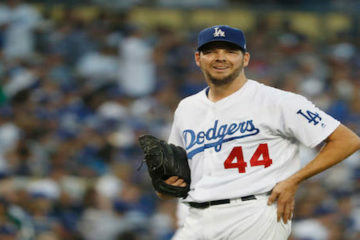 Last year he only walked 1.6 per nine innings and struck out a dominating 10 per 9IP. He is currently drafted around the 207th spot and 81st amongst pitchers. He could really help your pitching staff by adding him to the roster around pick 15-16. Low WHIP, high strikeout rate with a great opportunity to run with it.